Ideally situated on Fort Lauderdale beach, Sonesta Fort Lauderdale is a prime beachfront escape for holidays in the sunshine. Boasting contemporary décor and fantastic beach views, this resort is great for every type of beach escape – from lounging by the water’s edge and watersports, to excursions and exploring the surrounding attractions. The resort itself provides plenty of scope for indulging and relaxation, from the chic guest rooms to the beautiful heated infinity pool. Look out onto the Atlantic Ocean as you work out in the state-of-the-art fitness centre – if you’re seeking a livelier fitness session there is a host of activities available, from paddle boarding to cycling. Holidays are about indulgence, and the tranquil spa suite is the ideal place to relax – customise the experience to suit you with massages, hot stone treatments and aromatherapy. The restaurants and pool bar offer a great selection of culinary delights, from poolside snacks to Asian dishes to whet your appetite. Top tip: For the ultimate Florida holiday combine a stay here with a stay at B located in Walt Disney World. The perfect blend of beach chills before the theme park thrills! Located close to the I4, Sonesta Fort Lauderdale is within walking distance of restaurants, bars, shops and entertainment. Prices correct as at 6pm on 19 Apr 2019. Please call for final price. Prices are per person based on 2 adults sharing a room. Other durations available - call for quote. Prices include flight and accommodation as stated below and car hire including Dollar rent-a-car's 'fully inclusive' insurance package. For more car hire and transfer options please ask your travel expert. NEW fly direct to Fort Lauderdale from London Gatwick with Norwegian Airlines! NEW Direct Flights from Gatwick with Norwegian Airlines now available! 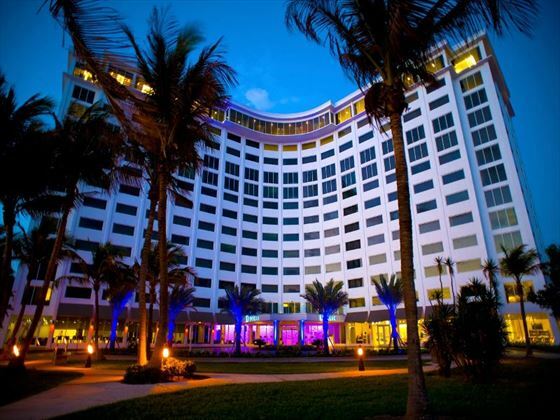 Experience the tropical ambiance and charm of the Ocean Sky Resort, resting on the sandy shores of Fort Lauderdale. Located directly on the beach only 15 minutes from downtown Fort Lauderdale and historic Las Olas Boulevard. 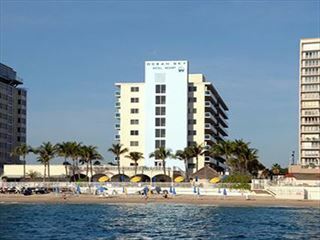 Set directly on the beach, the B Ocean Resort Fort Lauderdale Beach Hotel is an ideal family-friendly resort - spend time in the sun with your loved ones for a memorable Florida holiday! Perfect for families looking for a base to explore Fort Lauderdale, the Hilton Beach Resort sits on the gorgeous North Beach with each room featuring its own kitchenette for an easy self-catered experience.